Worship at 7:00 pm on Wednesday. 4/03 – Midweek 5: Why Veils? 4/10 – Midweek 6: Why Palms? Lenten Dinners…Food & fellowship at 6:00 pm on Wednesday night. Soup, salad, bread, dessert and drinks provided. Come as you are – no need to bring anything – just join with the church family for this meal together before Lenten worship. If you would like to provide soup or dessert, please write your name on the sign-up sheet on the table in the narthex. Daily Reading of the Psalms… As our Lenten journey continues I encourage you to spend some time each day in contemplative reflection, reading through all 150 of the Psalms over 40 days with your church family. Bookmarks with all 40 days of Psalms readings are available on the table in the Narthex. Look also for your daily email, with the Psalm reading, prayer and hymn verse. PLEASE CHECK your church mailbox. Lutheran Women Missionary League SPRING ZONE RALLY here at St. Paul’s! Sunday, April 28th, beginning at 2:00 pm. On that day, all women are invited to help HOST and ATTEND this rally. We have a perfect opportunity to connect with our LWML Mid-Valley Zone sisters in-Christ! A Presentation will be given by our District LWML President Barbara Lis as well as others who have recently attended the LWML Assembly of Leaders Conference! 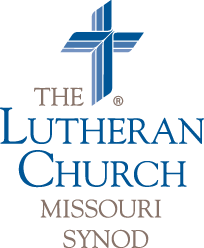 LWML is an incredible way to connect with a mission-oriented emphasis in our congregations and to grow in Christ via individual church groups as well as District and National gatherings! Please see Cheryl Lowman or e-mail her at cheryl.cassady@yahoo.com if you are free to help with set-up, overseeing food tables during the Rally, or to be part of the clean-up team! Please see Leslie Denton if you are able to help by making soup for the lunch that will be served! Thank-you all for your prayers! IN-HOME SAINTS VISITS! Please consider coming and being part of sharing Christ’s great love through song, God’s Holy Word, and prayer at each stop. These visits remind those who are unable to join us in worship that they are still part of our congregation and that they are not forgotten. Please see Cheryl Lowman if you have questions or would like to help and/or plan to attend. OUR NEXT Daughters of Faith meeting will be Saturday, April 27th from 2:00pm – 3:30pm. We’ll have a time of Bible study, fun, food and fellowship. Please see Judy Byrne to let her know if you will be attending. Camp Pineshore…located in Westminster, MA is an LCMS camp run by Messiah Lutheran Church in Fitchburg, MA for over 70 years. They offer three week-long sleep-over camps each summer: Sunday school camp, Junior High camp, and Senior High camp. Camp Pineshore offers a tradition of Learning about Jesus Christ, of Providing Christian Role Models, of Making Long Lasting Friends, of Having a fun-filled Week, of Encouraging Teamwork, and of Safety. Check out the camp at http://pineshorebiblecamp.org/ and see the kitchen bulletin board for camp dates, information, and registration forms. Want to know what camp is like? Talk to our church family members Emily Jury, Grace and Melia Manor, or Pastor Manor, who have all attended camp at Pineshore. Pastor Manor, or contact St. John’s pastor, Rev. David Riley, at dvsriley@suddenlink.net or 413-568-1417.